← …3,000* !…..Kelham Island……with Big Ron,..Holly, and,…………. Big Ron & Holly Launch New…………………. ALL proceeds from Big Ron & Holly Postcards will go to the Sheffield Retired Greyhound Fund, please email me for details. 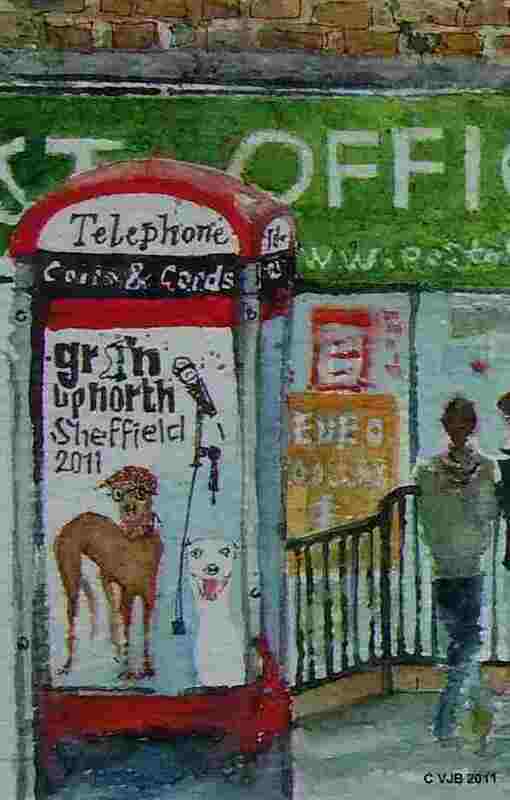 This entry was posted in Sheffield - watercolours, Wider Yorkshire - watercolours and tagged Big Ron & Holly, Grin Up North, postcards of Sheffield, Sharow Vale Road, Sheffield Retired Greyhounds, The Fat Cat, watercolour shop sheffield, West End Frames. Bookmark the permalink.